The GROHE Retro-Fit™ Shower System transforms an existing shower head installation with concealed pressure balance valve into a luxurious shower system with a shower head that swivels to the perfect angle (the shower arm can be fixed or used as swivel) plus the added convenience of a hand shower – both featuring GROHE DreamSpray® technology. Adding to the luxury experience is that both the head and hand showers can be operated simultaneously. The optional 6" height extension offers an extra solution for most application. Furthermore, the upgrade is quick and easy to install as there is no need to change the tiles or remove any of the original work. It immediately creates a fully customized shower experience. 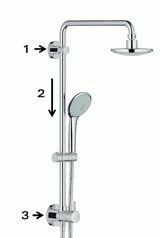 The GROHE Retro-Fit™ Shower System is available pre-packed with Euphoria shower head and hand showers or as a basic package without shower head or hand shower. 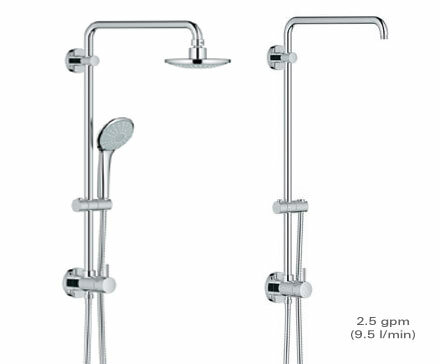 It can be used in any design of bathroom as it complements all GROHE shower products. 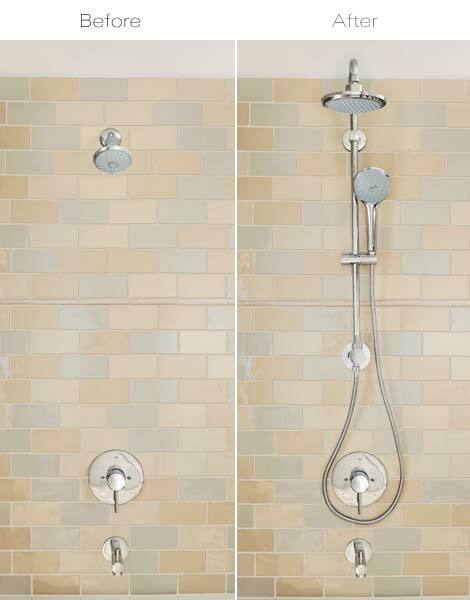 NEW additions to the collection include a 25-inch model (26193000) that can be used for tub/shower combinations and features a 45 degree angle shower arm coupled with the New Tempesta Cosmopolitan shower head and hand shower for an invigorating shower experience and also a NEW 18-inch model (26192000) that easily upgrades any shower into a spa-like shower system with a Euphoria shower head and hand shower for a relaxing rainshower experience. Please download our Retrofit Renovation SpecSheet here below. 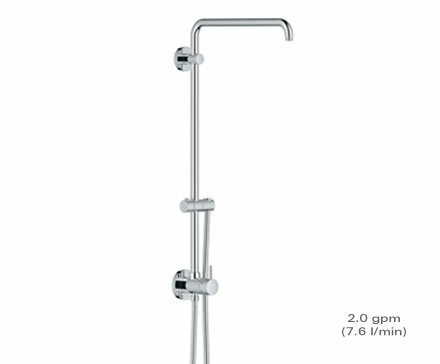 The GROHE Retro-Fit™ Shower System comes pre-packed with GROHE Euphoria head and hand showers with a maximum flow of 2.5gpm or as a basic package without head or hand shower. 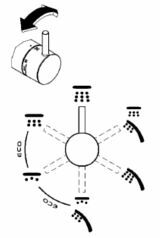 The basic package is available as 2.5gpm or as 2.0gpm version, fulfilling all your water saving requirements. 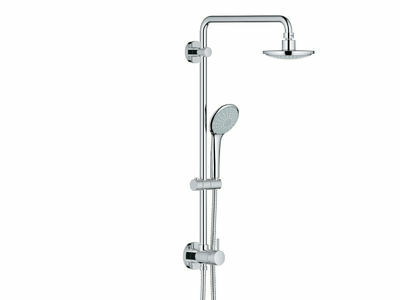 Discover GROHE Retro-Fit™ Shower System in our bathroom brochure.